Marble restoration pushed even further. Marble absorbs liquids, staining the stone very fast. 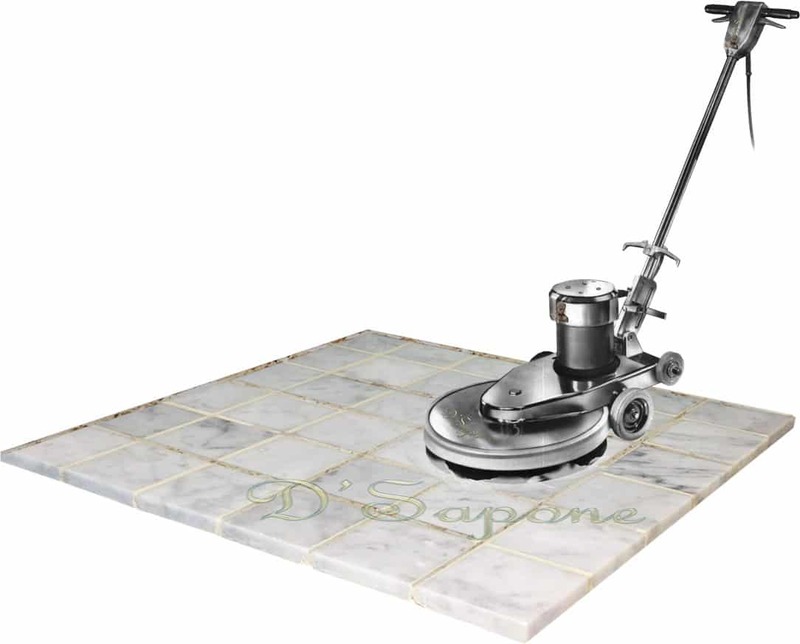 While providing our marble restoration service in Brooklyn, not only do we clean marble, we also prep and sanitize it while removing any sealers and stains present in the surface. Cleaning is the first step towards marble restoration. Protecting the grout between marble tiles. Our patented grout sealing process locks out all the stains and mold permanently with Caponi® – a two part pigmented titanium resin sealer. Not only does it protect the grout between marble tiles, but also accents the stone with its more than 40 color options. Imagine, your grout will never stain and will always stay clean with a 5 year labor warranty. While performing the marble restoration service in Brooklyn, not only do we repair the cracked grout, we also pigment the product according to your grout color and make it look natural for a lifetime. Experience a fresh new looking grout with no cracks. 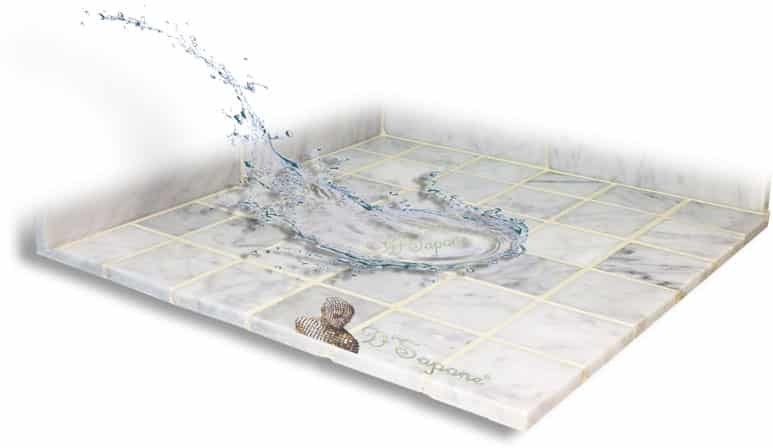 Marble tile cracking issue is a burden that will get worse, if not rectified with the correct products. We repair the cracks with Sentura, which is formulated with a 1200psi adhesion and comes in over 40 colors. It makes the cracked stone looks natural for a lifetime. with a natural look sealer. 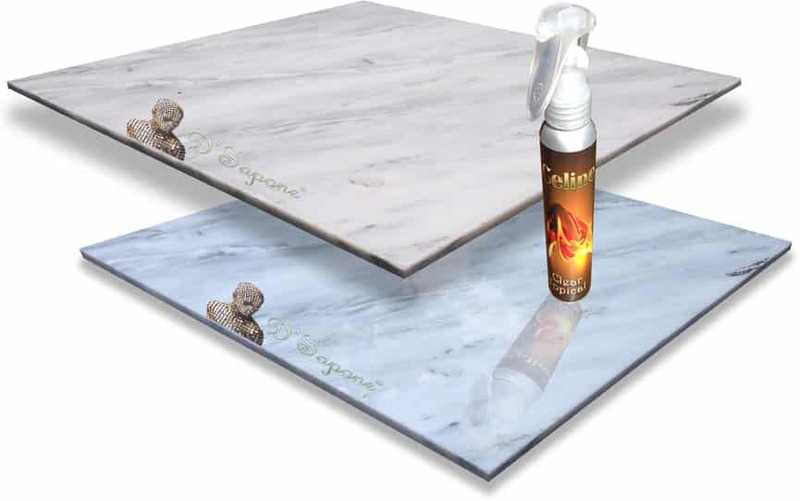 Once our Brooklyn artists clean your marble, they will seal the stone with a clear invisible sealer – Repela-Bond. Our “Healthy Shower Systems” always include a Repela-Bond sealing process keeping your surface sanitized. Celine – a clear resin topical sealant. Celine is the most durable solvent based stone sealer on the market that penetrates deep into the surface preventing the occurrence of mold and stains. 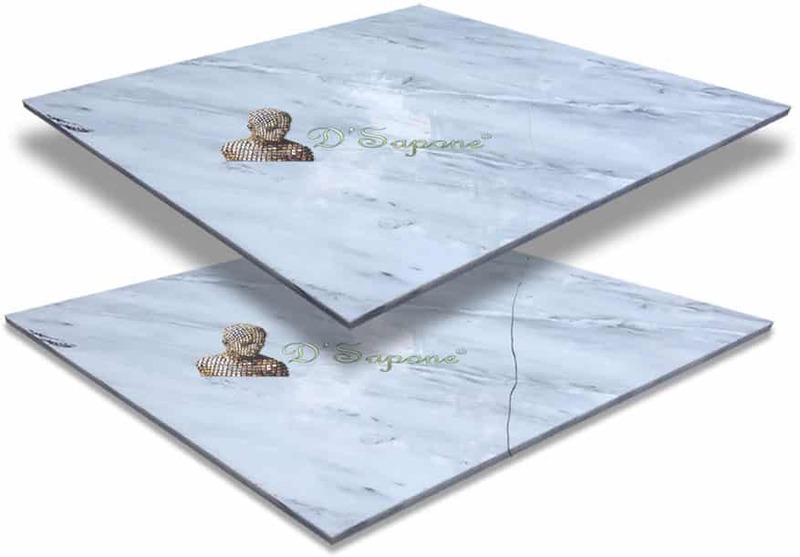 It also adds a refined elegance to marble pulling out its glamorous colors. Notice in the image, the top tile is sealed and the bottom one is unsealed. Other marble polishing processes only bring the perfect shine to the stone, but it doesn’t prevent the surface from etching. We revolutionized the restoration industry with our patented marble polishing process. We considered the protection of the stone first, and then we designed the process from the inside out. 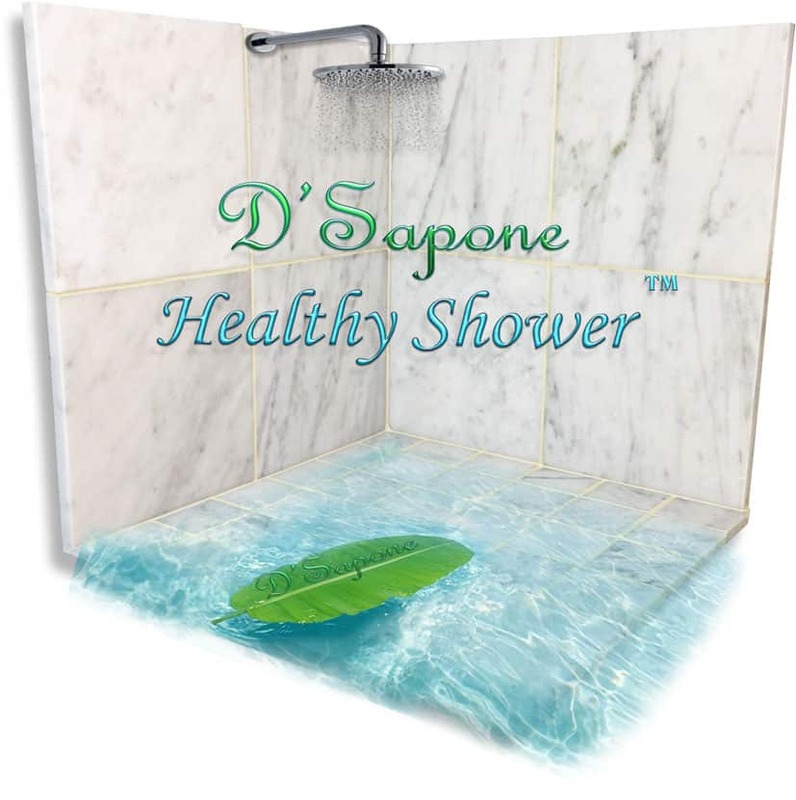 Experience a ‘Healthy Marble Shower’ with no mold. Our ‘Healthy Marble Shower’ service includes all the processes your stone needs. Our Brooklyn artists will understand your requirements and then we will put together a stain free and mold free shower for you. We will also replace caulk in all the corners with Sentura, which will never peel or wear off the surface. We will clean and seal the surface with powerful products designed by pFOkUS®. Our marble restoration service in Brooklyn is backed by a 5-year labor warranty. 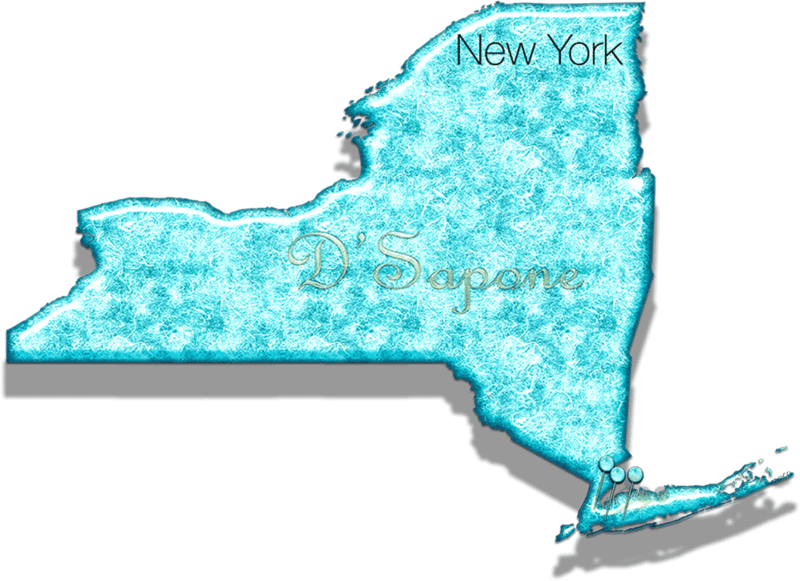 Marble restoration service in Brooklyn. Take your marble to that level you strive for. Fill out our online estimate form and upload the images of areas need to be restored. Your estimate will be assigned to a stone artist, who will take care of the rest.